If you have been working 18 hours per day, you’d exactly know what I’m about to write about. Micro-managing and trying to be involved too much in everything is a disaster. It effects your productivity, creativity and causes a lot more stress than you’d anticipate. I’m not necessarily talking about ‘lifestyle-type’ businesses here and I’m not really a fan of those either. Although they may seem to make money, having the need to have certain type of a life style and building a business around it doesn’t look that exciting. Anyway, what I do want to talk about is dealing with the minimum number of unwanted issues to focus on the areas that are most important for your startup! Here are few hacks to do so. Figure out what matters most. It doesn’t matter what scale your startup is at, there are things that matters the most. Figure those out. Spend the time on what matters most and try avoiding the things that doesn’t make an impact. If you are just starting out, read The Lean Startup, practice Validation Board by Lean Startup Machine. Identify what makes your startup progress each day. Disconnect from people who don’t bring a positive change. It can even be your own family members. If they are not adding any value to you or vice versa, disconnect! Else it will only drain your energy down for no reason. Surround yourself with people who inspire and mentor you. Don’t get involved in all kinds of businesses. You just can’t be successful in 50 different kinds of products or services. You can’t run a good design agency, while building a product, while trying to custom code for other businesses and doing private consulting work. It simply doesn’t work. Select a niche. Focus. Master it day in day out. Read more about Malcolm Gladwell’s ‘10000 hour rule’ on the book Outliers to get a sense of mastering a niche. Go Cloud. Try to use as many cloud services as you can. There are cloud services for basically every aspect of the business process. Whether it is maintaining a code repo or having your own personalized phone service, there’s always a hosted solution you can choose. Handing over all the maintenance for a small fee is much less time consuming and much more productive in the long run than trying to maintain these yourself. Try to stay paper-less. Having a deal with printed contracts, faxes, accounts books and everything else in between is a disaster. There are services to keep you up-to-date with a very minimal fee. Be equipped with the most wanted not the most amount of things. Being a startuper requires a lot of travelling. You always need to base yourself where the next best opportunity lies. Unless you are in to some sort of a work-from-home type of a business or those ‘lifestyle businesses’ I mentioned earlier, you have to travel. There’s no alternative to it. Identify the gadgets or objects that makes you most productive and get rid of the rest. Maybe you don’t always need the latest iPhone that comes out every 6 months unless you are specifically building something for it. Reducing doesn’t always mean de-cluttering. I usually have messy work spaces. Messy work spaces make me more creative. Some of the most creative powerhouses have had the messiest work spaces. Quit running after fame! If you have made some money and want to buy a few luxury things, that’s fine. 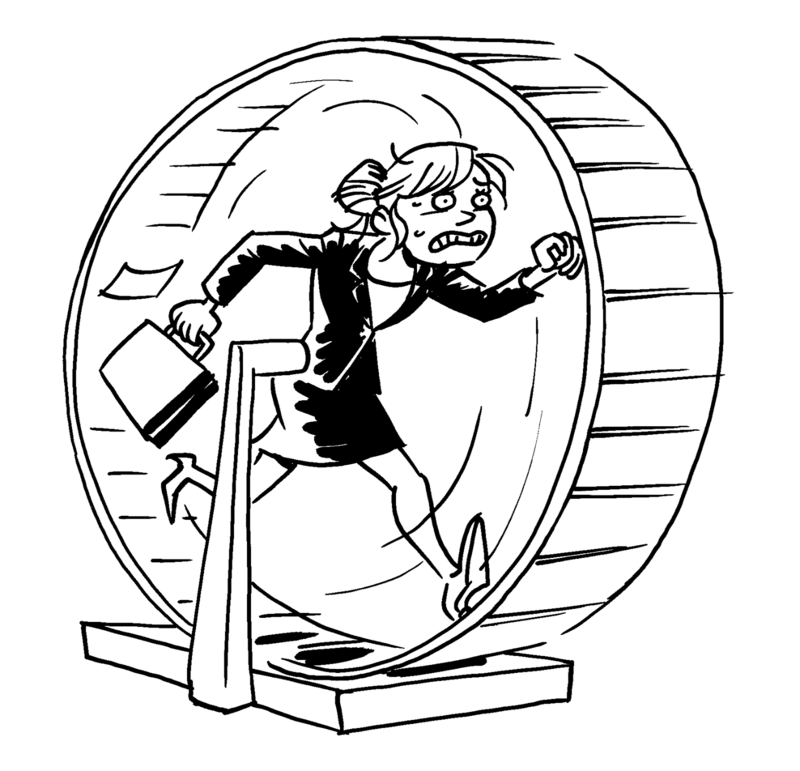 But quit trying to get yourself into a Hamster Wheel by maximizing the amount of things you will have to deal with in a day today basis. That drains your energy down. While you are on a certain stature with these among your friends, family and of cause the public, it needs constant overlook and attention. It can be maintaining your luxury house or the vehicle or consumes so much time you should be putting into the business. If you really really need to have some of these, hand it over to your significant other or someone whose close enough to be trusted. You can always follow Lifehacker and they put out a lot of productivity tips and hacks to make things easier in life.